So I got my car it has a K&N short ram intake on it, the cone is a bit warped. I'd like to purchase a new cone only not the entire $350 intake system. 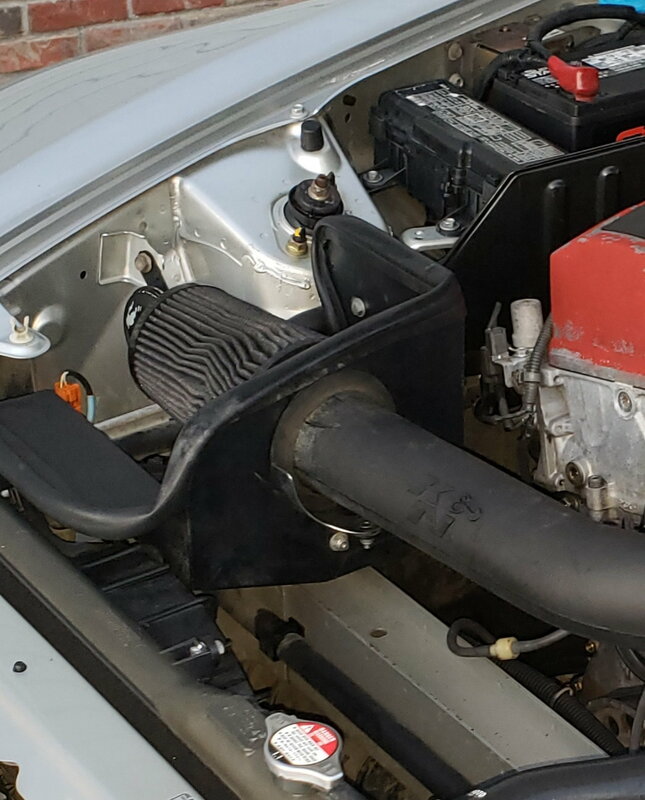 Can I just buy any K&N intake cone from like Autozone and be ok or do I need that specific cone that comes with this intake system? Also is it normal for these intakes to make a kind of "whistle" or squeak kind of sound at around 3-4k RPM's when I give it gas? You can purchase K&N filters based on various dimensions. You can ask K&N for your exact or you can measure and search their product list. Seems sort of an out-of-the-way kind of way to replace it, can I not use another K&N cone from a local auto store? This appeared on their website when I entered my vehicle. The cone by itself is a different cone than the one I have. The one I have is flat and has some carbon fiber on the end. Will replacing it make any real difference other than being aesthetically more pleasing? The exact replacement filter for this kit is listed under accessories/related items, though anything with a 4" ID flange and not much longer than 6.5" should work. Whistling sounds are usually normal with aftermarket intakes from my experience. Last edited by mikeyds; 02-06-2019 at 10:15 AM. Right? That's why I said anything matching the dimensions of the replacement should work. Parts stores usually have universal K&N filters for like $40 and should be able to get one with a 4" flange. As far as filter brand you'll see people arguing over it much the same as oil brand. There's past threads about it on here. K&N Million Mile Limited Warranty"
Does that apply to me since I got the car from someone else who already had it installed? Eh, you can try calling K&N and asking about it but I think the warranty is more for if the filter element breaks down. Think there is any way to save my existing filter? Its just very ugly to look at lol. Quick Reply: Does the intake cone brand/type matter?